Sarah has been a Family Nurse Practitioner since 2009 and was an acute care Registered Nurse for more than ten years before that. She enjoys caring for people of all ages with particular expertise in the care of children and adolescents. Sarah graduated from the University of Pennsylvania both for her undergraduate and graduate nursing degree programs. She also received an undergraduate degree in Education from Temple University. 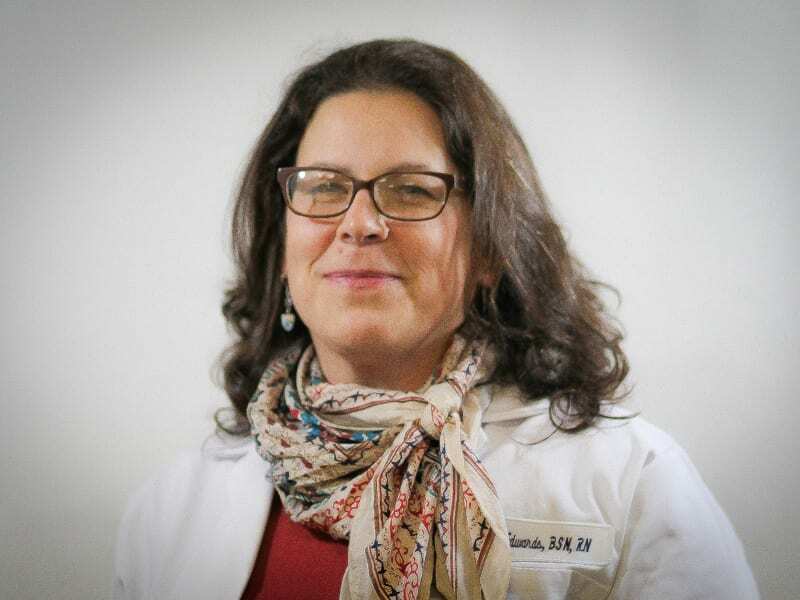 Since becoming a Nurse Practitioner, Sarah has worked in community health centers in and around Philadelphia. Her main focus of practice is the optimization of individual and population health outcomes through the promotion of self-care and facilitation of multi-disciplinary collaboration to address the social determinants of health. In her previous role as Clinical Director for Rising Sun Health Center, Sarah championed the development of a new Medical-Legal-Financial partnership to address the many health-harming social needs of the center’s patients. Sarah lives in Northwest Philadelphia with her husband and three children. Sarah enjoys gardening, doing puzzles, and walking her dog.